90cm. 3,300g. With hickory handle, impact protection sleeve and safety plate. 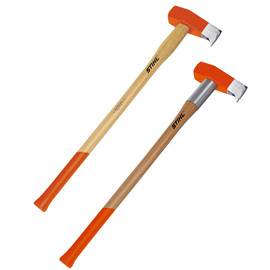 Suitable for cleaving metre logs and heavy wood as well as felling with a wedge. Suitable for hard splitting work.